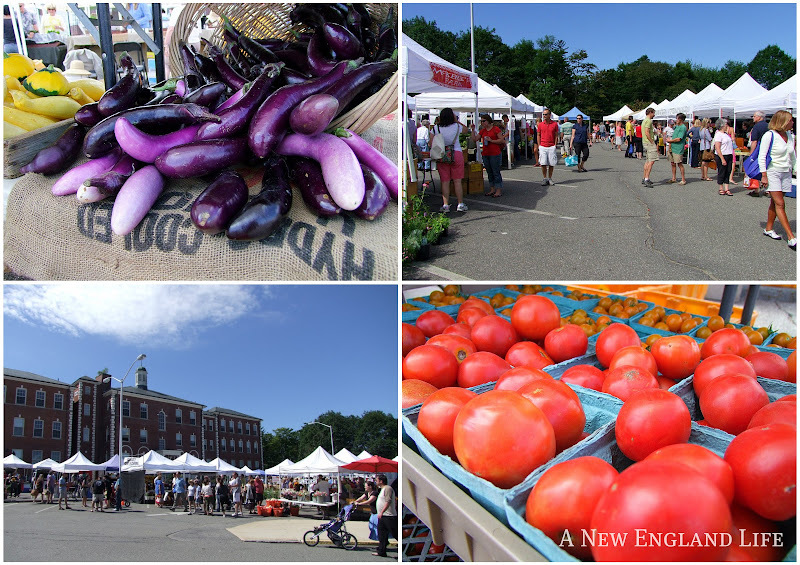 Yesterday morning after dealing with a car crisis for our older daughter (mechanical issues), my husband and I ventured out to the Farmers Market in Portsmouth. It was such a perfect morning for walking amongst delicious foods, vegetables, flowers, music, chickens (! ), and more. Oh my goodness, this little girl was just delightful. Look at those shoes, and that hat! If you notice she is actually eating a cherry tomato! We brought home Apples, Peaches, a most excellent Tomato, and a large Zucchini squash which I'm going to cut in half and stuff with a rice/onion/pepper/tomato sauce/oregano mixture. Then smoother it in cheddar cheese and bake in the oven. Sound good? See that guy in the red shirt, khaki shorts on the top right? That's my husband. And that big building behind the farmers Market? It used to be the old Portsmouth Hospital. Now it's used by the city. Do you go to the local Farmers Market? Looking away from the Farmers Market towards downtown Portsmouth and the North Church. * I have a little confession to make. I thought it was Mosaic Monday over at Little Red House but Mary has decided to take some time off. Good for you Mary! Enjoy! Yes... I go to a Farmer's Market just 3 or 4 miles away from our home... And I always make sure I pay for the cherry tomatoes before eating them.. LOL That little girl is just a darling. I love your post! 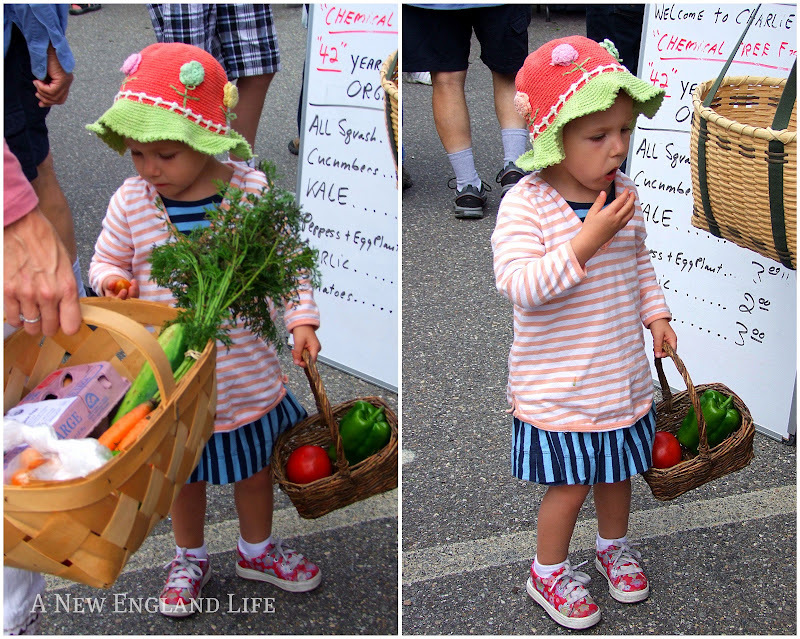 New England, fresh vegetables, flowers, cute kids. Some of my favorite things! Just enjoyed my virtual stroll through your market! Wonderful photos! Love the reflection in the last photo! 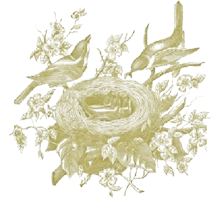 Rome Italy Hotels - Rome-Hotels-Near help you to select the hotels in Rome that best meet your personal tastes, desires and needs. Here you can see pictures and find detailed information on all Rome hotels and can choose your favourite based on hotel category, price or location. Find the best Rome Italy hotels and Rome cheap hotels here. I love the Farmers Market in Portsmouth, I always go when I'm staying in Rye. I love it in September when all the gourds and pumpkins are on display. That little girl with her basket of vegetables and her cute shoes is a delight. What a wonderful mosaic Sharon! I love all the sights of the market, esp. that adorable little shopper! How FUN Sharon! We go to our local farmers market and also local stands that are set along the road. I got the BEST watermelon I have ever eaten in my life at one of those stands. What days do they have the farmer's market in Portsmouth? Would be a lovely day trip. I love going to the farmer's market at Copley Square in Boston. I love looking at your blog. It is peaceful and reminds me how much I love NH. We have a weekend home there, but it is in a small town called Dorchester. 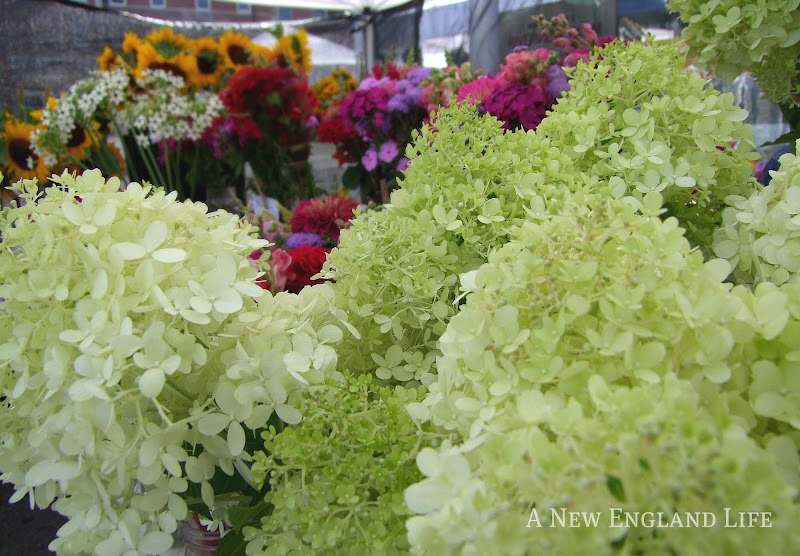 The Portsmouth Farmers Market is on Saturdays from 8-1. 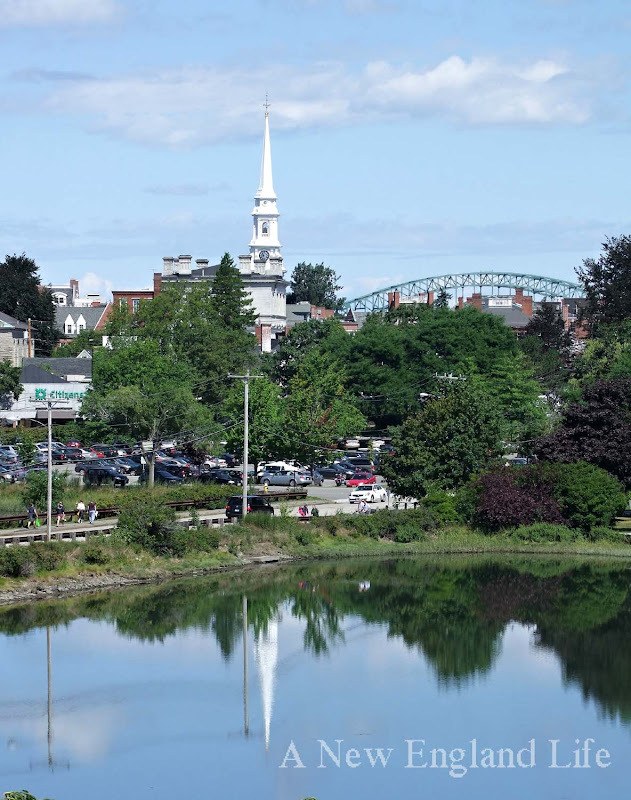 Portsmouth is always worth the trip, especially this time of year! If you come up make sure you go to Prescott Park too and see all the flowers. Glad you are all enjoying the photos! 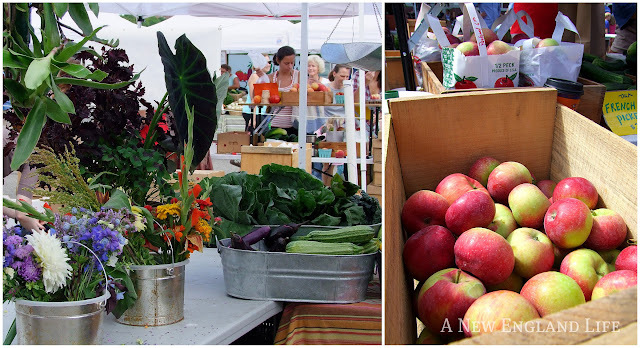 Any farmers market is a great place for photography. There's plenty of color and variety. I love the Farmer's Markets. Always great people and crops! I tried Patty Pan Squash for the first time this year Sharon. Cut it up and breaded and fried...probably not the most healthy way to cook it but Yummy!!! I've said it before and I'll say it again...I just LOVE your pictorials!!! You provide me with my virtual vacations!!! Thanks! Enjoyed your trip to the market and all the color. It has been a while since I have been to the one here, but I have not been doing a lot of cooking because of the heat. Yes! We have a fabulous Farmer's Market here. I could spend hours there. We try to get to the farmers market. Nashville has a great market, but it's a little far to go for 'maters. I may have to stop reading your blog. It makes me so homesick for New England. (I won't stop, it just has that effect on me). I love farmer's markets. There are two very close by that operate on alternate weekends. The one has live music like New Orleans jazz and the like. We never seem to be able to leave either one without a homemade blueberry pie....I've concluded that farmer's markets are very bad for my wasitline. We don't have such good farmers markets round here unfortunately. 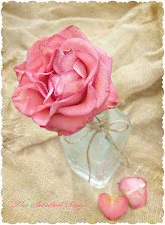 Beautiful photos, I enjoyed them. On Thursday nights we have the local produce for sale in town, booths are set up, along with baked goods, flowers, etc. arts and crafts. Also, I finally, after years and years, went to the world wide famous Farmers Market in Los Angeles, a place I use to go to as a kid. It has grown so much. What a big market. Ours in town is teeny compared to that one. That looks like a good one. I love to people watch at Farmer's Markets and the kids are always so adorable! I was actually going to post about the one I go to in Winchester. Great minds think alike. Beautiful pictures, Sharon! I love the litttle girl in her hat and the last shot of Portsmouth. Looks like a fun walk. 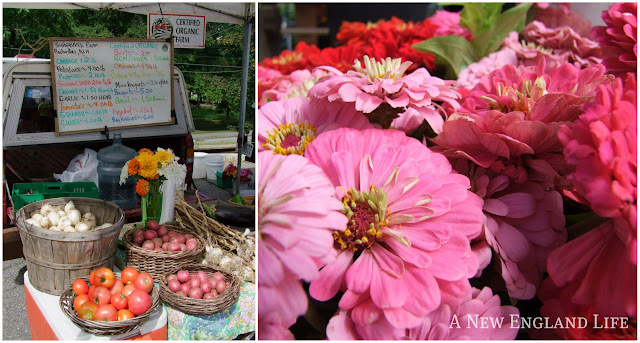 Gorgeous photos and the farmer's market looks like my idea of bliss. We stop every once in awhile to a farmer's market if there's one in the town we are staying in. I love all the fresh fruits and vegetables! And that little girl is just adorable with all her stripes and her hat! I love the little basket she is carrying, too! Fabulous photos!! Loved the little girl and those flowers!!! Wonderful! I just love the expression on that little girl's face! Perfect timing! I love Farmer's Markets. The produce is so fresh and the company is lively. You capture the essence of it well. I love your area of NH. We had fun in Portsmouth when we spent an anniversary weekend there a few years ago. It's a beautiful place! I love to go to the farmer's market up in Webster, about an hour from here. Only in the cooler months though, too hot in the summer for me. It's only open on Mondays. So much neat stuff to see and great vegetables. That litttle girl is sooo cute! Do you ever go to the farm in Dover that they just decided to sell. In their family for like 400 years. My aunt went there many times for fresh vegetables. Love the photos! It looks like such a great farmer's market. Oh Sharon, this is so much fun! I'm just back from down the shore, and I'm so glad I stopped by to visit. Thanks for sharing your beautiful images! Haven't been to the farmer's market in quite some time. Love your photos here.